LIVE from Stanley's Pharmacy NYC / Holiday Special Various Artists/Ubiquity Records and more! LIVE from Stanley's Pharmacy November 2016 Various Artists/Ubiquity Records and more! Reach out if you’d like to be a guest on Primary Food or IPR Interesting People Radio! Cynthia Cherish Malaran, is also a TV host and interviewer for WBMA TV and DNS Media. 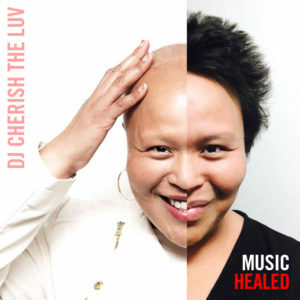 Cynthia Cherish Malaran, aka, DJ CherishTheLuv, has been hired to do public speaking engagements on Music and its power to inform and heal. She has presented her story at schools, to students ranging from Pre-K to High School, as well as to College students and churchgoers. She is a speaker for BMCC CUNY, educating students in the Women’s Health program, working with educator / artist / historian / preservationist, Dr. Olivia Cousins, Phd. Cynthia is also a creative contributor to the Visible Ink theatre and writing program at Memorial Sloan Kettering, where her writings have been published and performed live on stage. DJ CherishTheLuv has performed her stories at Bowery Poetry Club and recently at the comedy club, Carolines on Broadway. Check out her piece honoring Prince, Women and Breast Cancer Survival through the eyes and ears of this DJ survivor.